Company Mission Statements are meant to be seen! Why not add yours front and center. 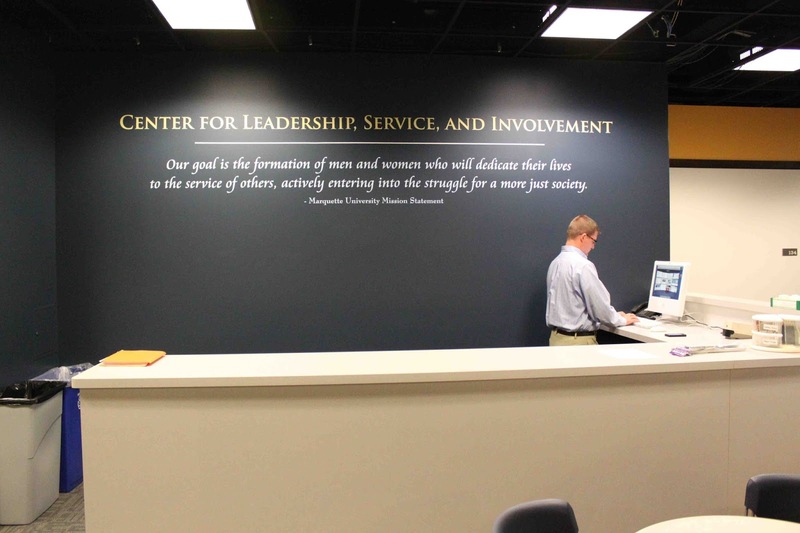 Not only does it look amazing, but it reminds employees while showing customers exactly what your company stands for. 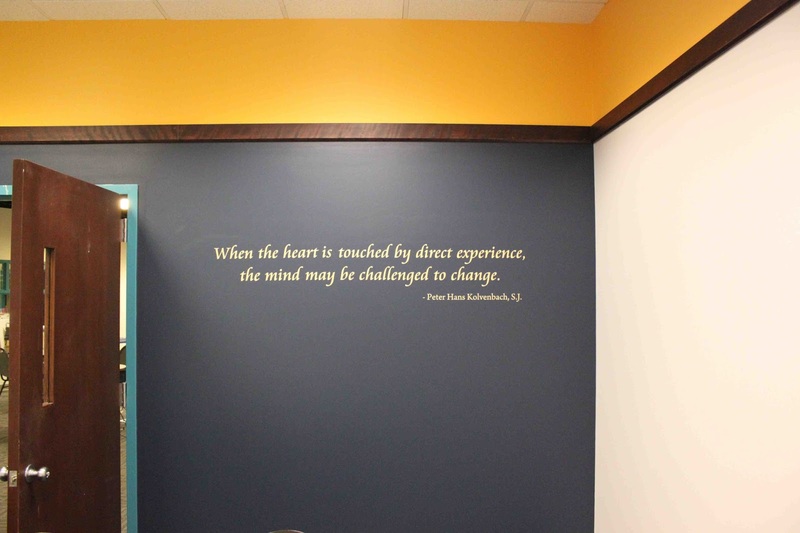 We worked on this custom mission statement for Marquette University and it makes the perfect impact. This decal was done in Buttercream and Ice Blue and really pops against their Navy wall. 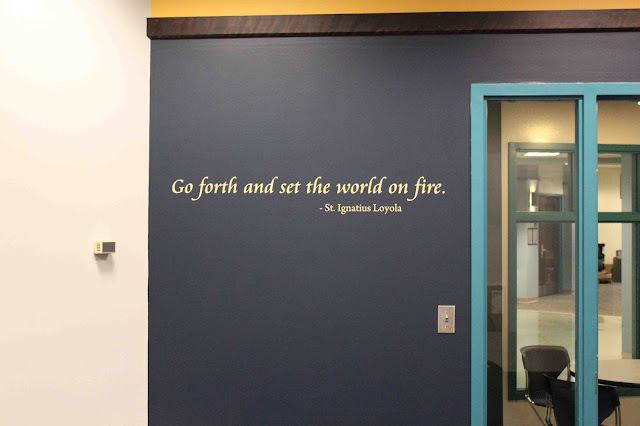 While working on the Mission Statement, they also wanted some other quotes to go around the office. We just love the ones they have chosen. These quotes are also done in Buttercream. Does this inspire you to start on a custom design project of your own? 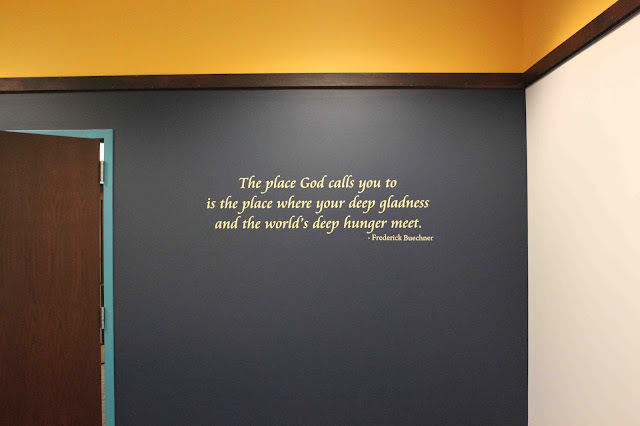 You can start in our Design Center, or contact our Design Team to work on a custom quote for you by emailing info@wallquotes.com.